T H R A S H E R Switch Rods come in a variety designed for the heavy lift. Nothing is Micro or Trout Spey about them. They are powerful tapers designed to cast the distance and handle larger fish. 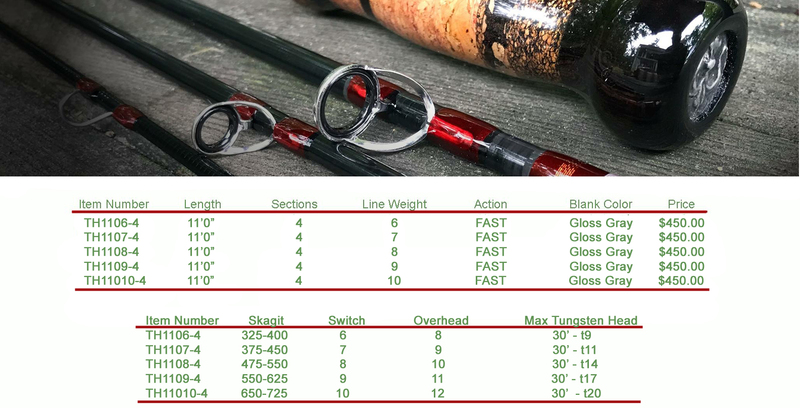 If you are looking for that middle bending type of rod then my Presentation Collection is the answer. T H R A S H E R is for the angler who wants to play the game hard.